Gratitude was expressed for and to all the members of the guild and volunteer efforts and great deal of time that has been brought to the MHG this year. We started with a discussion about our Mission/Vision Statement and a process called The Lean Change Canvas. This mission statement was put together when we applied for the Grant this year. The purpose to discuss the Mission and Vision Statement and discuss the Lean Change Canvas to see if we want to add or change any of or Vision or Mission Statement. We will let this simmer and discuss again at a future meeting. We want to set goals for 2019 ~ Financial and Structural. 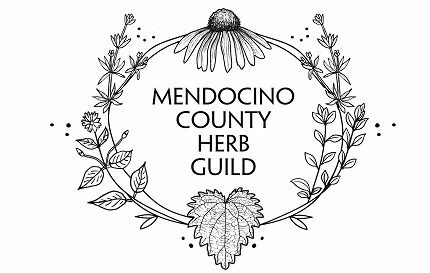 Mission of the Mendocino County Herb Guild is to gather as farmers, medicine makers and community members to create Full-Circle Herbalism. Full-Circle Herbalism benefits the community through regenerative cultivation and wild-crafting of herbs, intentional medicine-making and herb-exchanges, conscious herbal education and the development of accessible apothecaries and clinics so that healing plant medicine can be available to all who need it. A Vision Statement focuses on tomorrow and what an organization wants to ultimately become. A Mission Statement focuses on today and what an organization does to achieve it. The first is a statement of vision. It provides a destination for the organization. Next is a statement of mission. This is a guiding light of how to get to the destination. CORE VALUES- define the organization in terms of the principles and values the leaders will follow in carrying out the activities of the organization. STRATEGIES- are one or more ways to use the mission statement in order to achieve the vision statement. 1. Value Propositions- What problems are we helping to solve? What value are we creating for Mendocino County? 2. Targets/ Who are we serving ? Consistency, reliability, quality control, communication, accurate intelligent information, integrity, honesty, trust, reliability, accessibility to products, compassion, inclusiveness, respect, understanding, patience, reciprocity with Earth, sustainable, local products. Questions discussed: Do the Inland and Coastal Chapters have the same goals/vision? How do we deal with the financial structure we have? Do the financial needs by either chapter need to be approved or not? By whom? How do we decide on anything- Like names of products or merchandise? What are the clearest communications channels between both Chapters? Who are the point people? Email? Karin discussed the history of the MCHG. She sent an email to Donna and said lets meet. There had been a group called the Mendocino Herb Association for about 5 years but it petered out and after a while Karin and Donna decided to call 2 meetings due to the distance so at first met in both locations. Inlands first pod was the study group. Coast first pod was the clinical homeless street project. After 2 years Coastal has expanded to a clinic in Ft Bragg to educate, cultivate, develop a resource guide and do some emergency medicine making .. The original set up is a whole county wide organization with 2 chapters. At this point we are still in agreement and want to continue this way. We had to fill out paperwork so stated persons were quickly nominated for officers of the group. President: Donna, Secretary: Ana Victoria, Treasurer: Anna Hope and Karin. Short discussion about whether we want to continue with these officers or have an election to change. MCHG is an unincorporated association. We have a business license and a fictions name and an environmental health permit submitted to the county. Discussed what is working between the two Chapters .. how we are connected, how much we want to be integrated, the distance issue to attend each others meetings, and of significance how much permission must we get from the other group to take actions on projects.. and how do we best do that? Discussed formation of a Council with 5-7 members. Consensus voting, Budget approvals, etc. VS. need for a Board of Directors. Money issues discussed: where monies go for farmers markets, events, individual fundraisers, memberships. How do the Chapters best help each other? How do we not dilute, fragment, be divisive if we talk about each group separately? Basically the logistics and distance in the county is the biggest issue. It is noted that at some point we may have more chapters, like Covelo or Laytonville or Ukiah, Redwood Valley.. so the MCHG is in the process of tackling said topics as it was reclassified we want to be a unified group defined by Mendocino County. We want to keep this group as a Mendocino County Herb Guild. Decided to have biannual meetings held together at the coast and inland. This money topic needs more discussion – should we incentives fundraising for each chapter? What is fair? Do we want to create an inland/coastal Council? To help look at our business structure? For the LLC and how it goes forward? Duties? Liability insurance issues? What issues are there? How would we handle a potential big liability issue. As an unincorporated LLC .. the officers take the liability. Should we invest in a document scanner? Council or BOD creation/duties/who wants to be on it? Ideally how is money allowed to the the chapters? How is it being done now? What are the current and projected expenses? What is the criteria for a MCHG sponsored event vs a chapter event? What is the best or most effective communication channel between the groups? Do we want each chapter to have autonomous money accounts or unite all money? What are exceptions of each chapter for themselves and for each other? How do we create and keep unity between chapters? What is best strategy for individual chapters to make budget proposals? What is the difference between a council and a board of directors? Discussion about need for more help to make this happen, how to get the word out to people in the community that we are developing a resource guide for people who want to grow herbs for the medicine makers and for the herbalist that need and want more herb. Idea to develop a digital copy of people who grow and want herbs and put a TAB on the website. Receipts must be submitted ASAP within 2 weeks. Discussed consignment products at Farmers market. There is a form that must be filled out a week prior to product going on the table. Those products remain in inventory whether sold or not. Want to change to money distribution for consignment products. Maker-65%, Table person- 20%, Herb Guild -15% after fees for table etc.. Inventory and consignment for for events was discussed . NEXT MEETINGS: Jan 22 inland, Jan 27 Coastal. Set meeting date for both groups to meet together to carry on discussions on Feb 3 1:00-3;00 at 298 Seminary Ave in Ukiah. We will set up a video call conference for this too if you cannot attend.